Emil Wanatka and a team of volunteers renovated the Volunteers of America Southwest Safehouse in April. 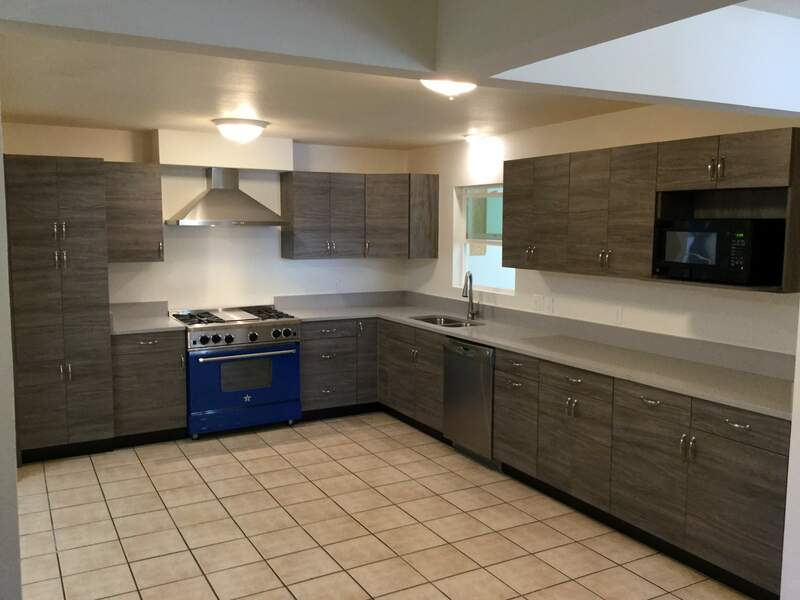 They remodeled the kitchen and two bathrooms as part of the project. Emil Wanatka toured the Volunteers of American Southwest Safehouse planning to do repairs last year, but what he saw inspired a complete renovation in April. Wanatka, president of Timberline Builders, heard about the construction needs at the Safehouse, which serves victims of domestic abuse, through an acquaintance at HomeAid Colorado, a chapter of a national nonprofit that builds housing for the homeless. He later received a list of 120 maintenance projects needed at the Safehouse, such as fixing a hole in the wall and installing a new toilet. When he inspected the house, he discovered it needed far more work than he could do by himself. So he approached the board of the Home Builders Association of Southwest Colorado for help, and members eagerly agreed to assist, he said. The group donated $8,200 for the renovations, and former board president Paul Beasley helped Wanatka organize the effort. During the first phase of the project in December, Wanatka’s team worked for three days on maintenance items, installed rain gutters and painted the interior, among other tasks. The first phase required about $8,400 in donated materials. After the team finished, Wanatka noticed a shift in how well clients cared for the building. “There was a pride of ownership that didn’t exist,” he said. In April, Wanatka’s team remodeled the kitchen, two bathrooms, removed eight dump trucks of debris from the attic and insulated it. The team also insulated the crawl space and regraded the back of the property where water ran into the basement, among other improvements. About 30 businesses and 24 people helped with the project, and more than half of them were members of the homebuilders association, he said. Wanatka estimates $54,100 in private donations were given to the project, although that is not the final tally. In addition, the VOA contributed $7,341 for new blinds, about $22,000 for the windows and installation, $13,000 for an accessible lift for the office and $13,000 for other materials. More than $40,000 came from the Victim of Crimes Act funding, said Rachel Bauske, the nonprofit’s Southwest Colorado division director, in an email. A final total of the VOA’s donations was not available. The improvements have been needed for a long time, but it’s been challenging for the Volunteers of America to raise money for capital projects because of the economic climate, Bauske said. “These renovations have been invaluable to the guests and staff of the Southwest Safehouse, showing them they are truly cared for and respected by the community at large,” she said. The renovations will likely save the nonprofit money on utilities, because the building is more efficient. The savings should allow the nonprofit to put extra funding into programming, Wanatka said. The VOA also plans to renovate the Durango Community Shelter, with work starting in the fall, Bauske said.